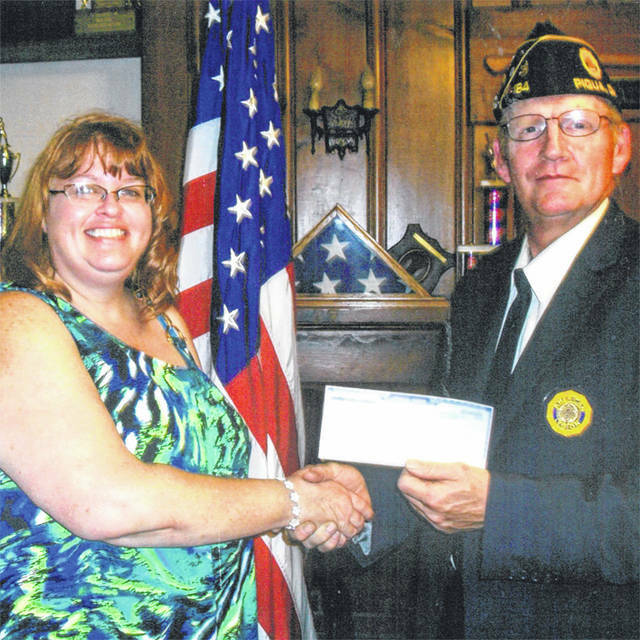 Provided photo Angel Turner accepts a scholarship from Piqua American Legion Post Commander Steve Mullikins. That day has come and Angel Turner, a student at Edison State Community College, is the beneficiary of a renewable scholarship in accounting. The award was presented on Aug. 27, at the American Legion in Piqua by the Commander of the post, Steve Mullikins. https://www.dailycall.com/wp-content/uploads/sites/30/2018/08/web1_News_AngelTurner.jpgProvided photo Angel Turner accepts a scholarship from Piqua American Legion Post Commander Steve Mullikins.